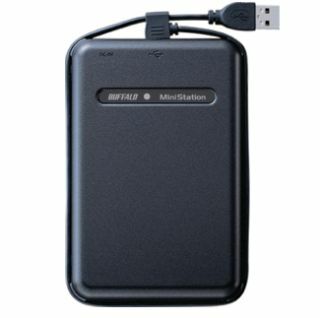 If you're a laptop musician who's looking to expand your hard disk capacity, allow us to point you in the direction of the latest Buffalo Technologies MiniStation. This, we're led to believe, is the first portable drive to offer 320GB of storage. A high capacity isn't the new MiniStation's only eye-catching feature: it also features TurboUSB technology that's said to enable data transfer rates that are 64% faster than normal. The drive spins at 5400rpm and supports the USB 2.0 and 1.1 standards. The MiniStation has a shock resistant chassis and is both compact and lightweight. It features a wraparound USB cable for your convenience and is plug-and-play on Mac and PC. Available in December 2007, the 320GB MiniStation costs $319/£155. You can find more information on the Buffalo Technologies website.